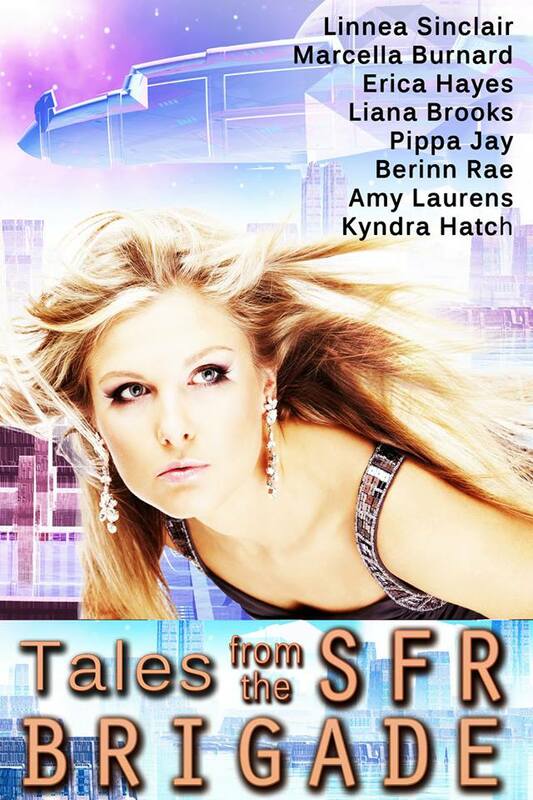 I recently served as Developmental Editor for TALES FROM THE SFR BRIGADE, an anthology of eight science fiction romance stories. The anthology is now available for download in several formats.You can check out reviews, find out more about the authors, and find your e-format of choice here. The Science Fiction Romance Brigade is a co-operative of over two hundred authors who all write the various blendings of Romance and Science Fiction. If you’re a fan or SFR-curious, you can get updates on new releases, cover reveals, interviews and giveaways on the Facebook SFR Brigade Fan Page here. If you’re a writer of SFR, seeking to connect with others, you can join the Facebook group here. Not on Facebook? Not a problem. We also have a blog. From Earth to the furthest reaches of the galaxy, explore the worlds of Science Fiction Romance with stories from Linnea Sinclair, Marcella Burnard, Erica Hayes, LianaBrooks, Pippa Jay, Berinn Rae, Amy Laurens, and Kyndra Hatch. Diane Dooley is the author of Blue Galaxy and Blue Nebula from Carina Press, Mako’s Bounty from Decadent Publishing, and That Night from Wild Rose Press, as well as numerous short stories. She also Facebooks, blogs and tweets.